Where Reality & Fantasy Get Confused : 50 Cent Has Two Kids And Is A Woman Beater? I've always been one to turn men down just because they have children. If it sounds stupid, I know. Most of these men start producing babies at 18 so that's a lot of rejection slips getting handed out. However, I've always been willing to make one except to my rule. 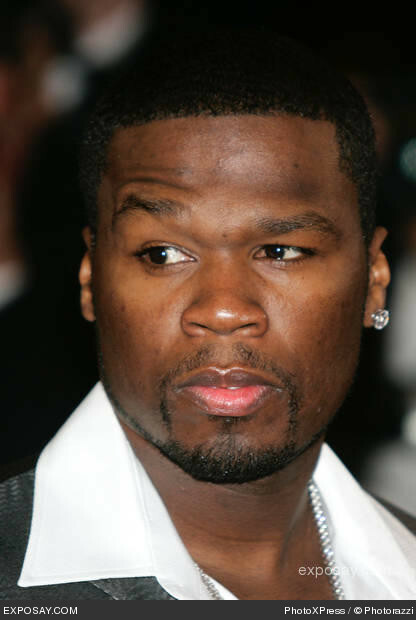 That is Curtis Jackson, also known as 50 Cent. Of all rappers 50 Cent is the sexiest. His rough exterior mixed with his trust issues makes him my kind of man. By trust issues, I mean he's not the kind of man that would give his attention to anyone, or even help anyone. It comes with a certain lifestyle. So I can handle him having a child. However, TMZ recently broke the news that 50 Cent might have a child with a model by the name of Daphne Joy. He dated her for three years before they split. Neither of them mentioned having a kid together. However, domestic violence charges have been brought up against 50 Cent. This is even worse. I'm crushing on a man with kids and he could possibly be a woman beater. In total five charges have been brought upon the man of my dreams. This all happened in Toluca Lake, Ca. weeks ago. One is a domestic violence charge where he was accused of kicking this woman. The others involve vandalism of property. WOW! Check out the full story here.